The great Catholic historian Hilaire Belloc (1870-1953) describes everything that led up to and followed from the momentous battle which took place in Hastings in 1066. 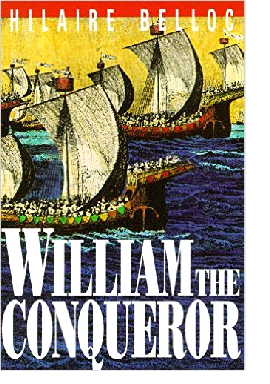 Belloc shows that the “Conquest” of England which began with William's victory at Hastings should not rightly be called a “conquest” in our sense of the word - nor can the great Duke William of Normandy be styled a “Conqueror” in the usual understanding. For William had crossed the Channel to England as one enforcing a rightful claim. Moreover, the ties between England and French Normandy on the Continent had long been very close - ties of blood, of marriage, of rule, of culture and of the Catholic Faith. 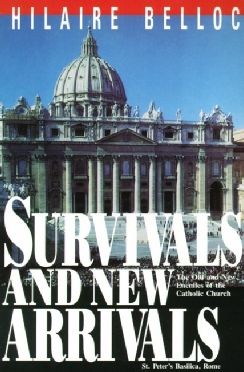 This is possibly the greatest book written the famous Catholic historian. 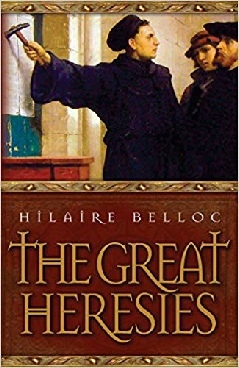 Calling upon his vast knowledge of history, Belloc outlines in simple terms the meaning and influence of five of the greatest heresies against the Catholic Church. A precisely worded, profoundly insightful book that will reward the reader with an accurate appreciation for the direction of history. Probably Belloc’s most important book for here he analyses the position of the Catholic Church It is the Church's enemies, he maintains, and the nature of their attacks upon her, that reveal what exactly is her place and influence upon the world at any given point in history - and what are her opportunities for success. In bold living colours Belloc sketches 23 famous men and women of the Reformation period, analysing their strengths, weaknesses, mistakes and motives and pinpointing deeds that changed the course of history. There are more than a few surprises here, as Belloc often puts the real responsibility for the Reformation on persons not usually appreciated by history. 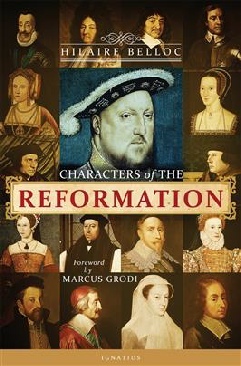 He describes the characters and deeds of real people, tracing the results of their greed, lust, tenacity, blindness, fear and - in the case of St Thomas More - heroic Catholic constancy. 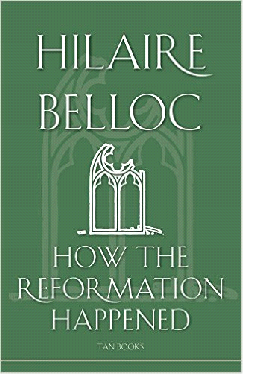 Belloc provides a largely untold story that answers a critical historical question about Western civilization: How did Christendom come to suffer shipwreck in the Protestant Reformation? He admits that corruption among churchmen and clerical abuses in the use of church revenues prepared the way for the flood of revolt. But he uncovers other, more decisive, factors involved in the movement. He demonstrates that it was not doctrine, but rather avarice and rebellion against the clergy, that originally fuelled the Protestant Reformation. A cogent analysis of that titanic sixteenth century upheaval - and of its continuing consequences today.